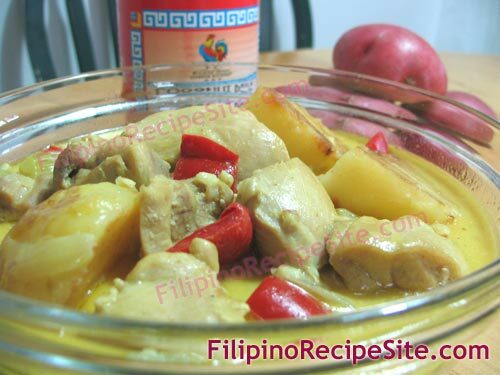 This chicken curry recipe is made in Filipino style of cooking. 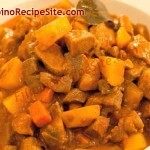 This curry recipe is one of the filipino dish that we usually prepare in every birthdays and parties when we were still in the Philippines. And now, that we’re here in Canada, this chicken dish is still one of our favorites during special occasions or even just in our common meals because my family loves it. They said that when they start eating this chicken curry, you’ll feel a little burning sensation in their mouth and wow really spicy delicious. 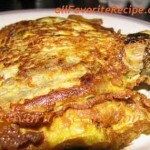 Pan fry potatoes. Set aside. In the same pan, fry chicken pieces and brown a little. Pour in patis and season with curry powder, salt and pepper. Stir for 2 minutes. Add water. Cover and bring to a boil. 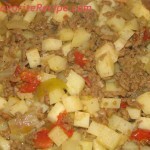 Lower the heat; add celery, bell peppers and fried potatoes. Simmer for 3 minutes or until half done. Add milk and stir occasionally. Cook for another 7 minutes (or lesser when using evaporated milk because the liquids will curled). Have You Tried These Other Lutong Pinoy Recipes ? I really liked and loved your website. The accuracy and simply the best of ingredients and procedures.. Thank you very much for sharing with us. I added all of the recipes to my bookmark..